I know that we are nearly into Spring as Sally brought some daffodils just a week ago. The grass on the Village grounds is turning green and the lilac bushes are starting to leaf out. 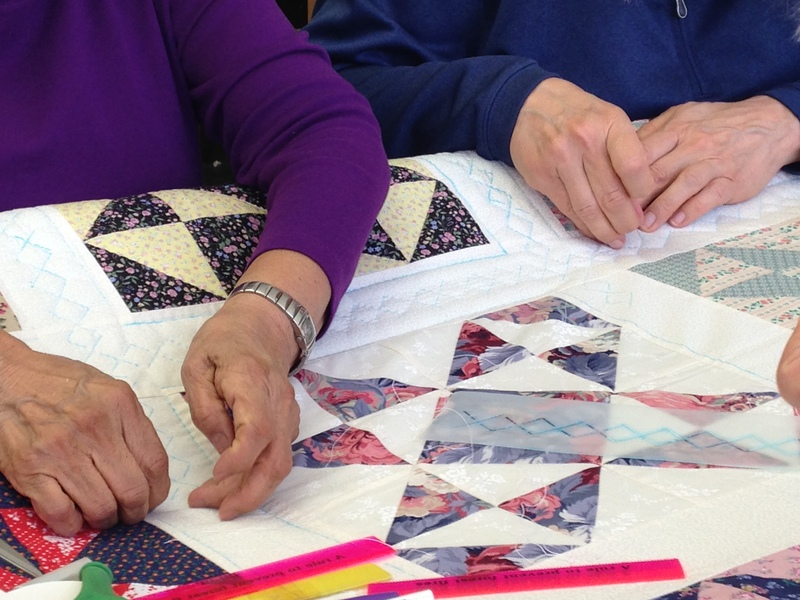 Surely we have made it through another winter but then last week at quilting it felt like we were still struggling. Bonnie was out laid up with a bad infection. Cathryn was out taking care of her son who recently had surgery. Bev is out caring for her husband. There was a fragile feeling as though we had to talk softly and send our energy out to those who were having a rough time of it. 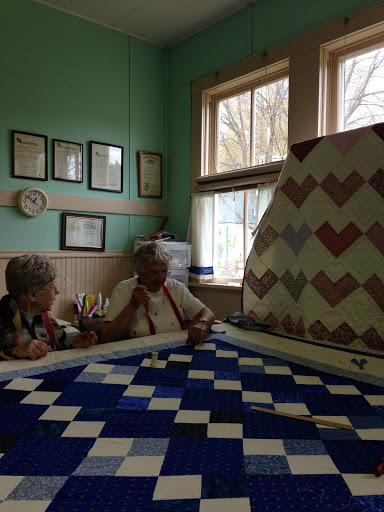 When Lynda left early and then Cathy couldn’t stay, we were down to five of us quilting in the afternoon. There was a certain peacefulness without too much talk and without any visitors. Mary Louise and I both could focus more on our quilting without the social distractions and felt our stitches were more even. But still…we missed those who couldn’t be there. Almost as though we had to quilt harder in their spirit. Almost as though we had to quilt better. 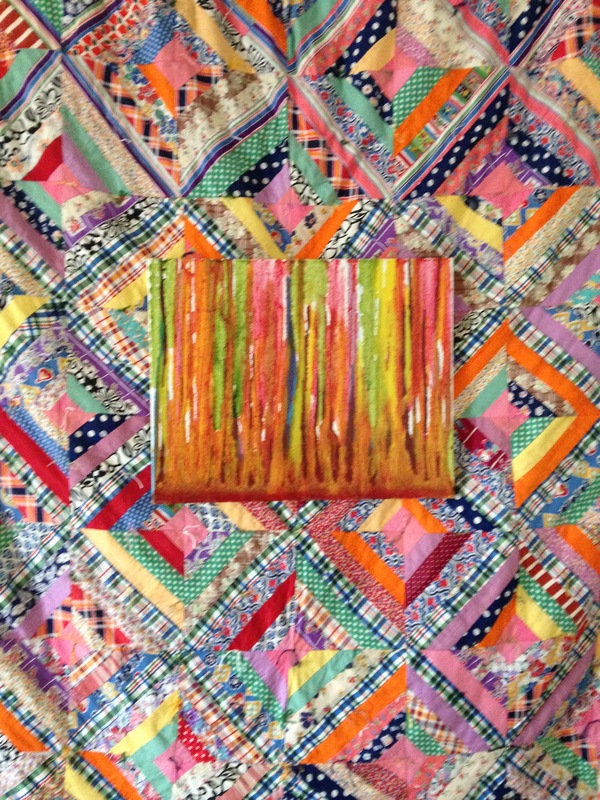 I thought a lot about Cathryn who truly is one of the best quilters amongst us. Her stitches are so small and so even and she quilts so fast. I was trying hard to inhabit her mindfulness as I quilted last week, being focused on each stitch but not going too slow. I appreciate the example some of these women give me. Not only the way that they quilt but the way they live their lives. Their generosity of spirit; the purposefulness of their days.